South African singer songwriters Digby and the lullaby will take you on a journey that blurs the boundaries between reality and fiction. Their romantic blend of indie dream pop infused with ambient beats and subtle electro textures will captivate you from the first note to the last. 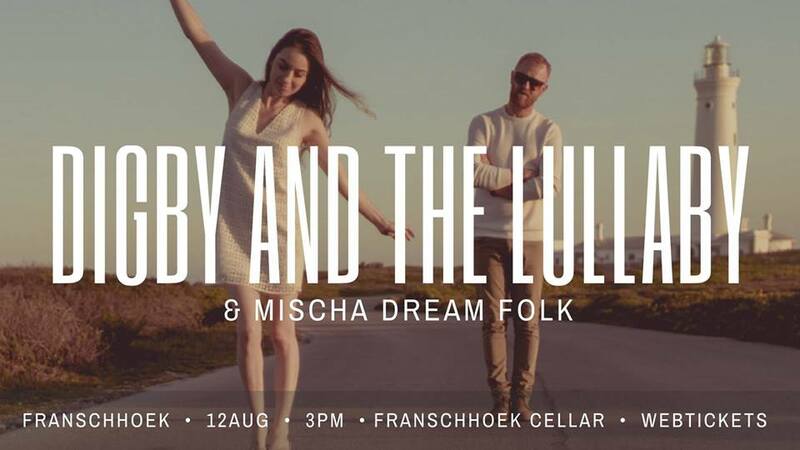 Catch them live at The Franschhoek Cellar on 12 August. “About 6 years ago Guy Buttery sent me a link to a tune called Love, I was completely blown away by their sound, and since then, I have booked them at every possible chance.” Gavin Minter – Cape Town Folk n Acoustic Festival.